The article defines, through consistent removal of the differences, the designating signs of the concepts ‘boredom’, ‘melancholy’, ‘sadness’, “sorrow’, ‘grief’, and graphically presents them as a mental paradigm in the form of conceptual square. Identified on the basis of classical texts, denotative marks allow to build semantic constants, to construct semantic constants, and to create a metatext of such emotion’s complete definition, in accordance with its understanding by Russian native speaker. The description of the concepts presents them in their systematic relationship to each other in the sequence of emotion’s development: boredom plays a role of the origin of a “primary-sense” conceptum, which is figuratively represented by ‘melancholy’, as a notion it is represented by ‘sadness’, and symbolically it is represented by ‘sorrow’; the last one unites sadness and melancholy. The concept under scrutiny is the basic one, since it is expressed in the language by common lexical signs, which are explicitly representing the meaning of the concept. Keywords: concept; сonceptum; mental paradigm; semantic constant; designatum; denоtatum; concept square. Absence of Comma between Subject and Predicate: Self-Apparent Norm or a Gap in the Rules? The article problematizes the completeness of the punctuation rules from actual Russian spelling reference books and school textbooks. The author discusses some possible reasons for absence of directly formulated ban on putting comma between subject and predicate, although such comma contradicts the main principle of Russian punctuation. Keywords: punctuation; writing; punctuation rules; redundant punctuation marks; text addressee. The article explores a factor of personality through scrutinizing the frequency of linguistic means selected by the speaker. After reviewing the research papers devoted to presidential addresses, the author concentrates on appeals to the audience, made by А. G. Lukashenko, V. V. Putin, and D. A. Medvedev, in order to examine their differences. A special attention is given to the use of pronouns “I” and “we”. The study reveals the status and the distribution of the personal pronouns, as well as the verbs and the short adjectives frequently used with them. The author compiles semantic “clouds” out of 100 most frequently used nouns, and chooses 10 of them for special scrutiny. Having analyzed the selected material in three aspects, the author concludes that the individual choice of appeal form in the addresses (uneven distribution of the personal pronouns or the focus on the noun) is very subjective and reflects the personal features of a political leader. Keywords: personality factor; presidential address; appeal to the addressee; pronoun; noun; frequency. The paper seeks to justify the need for introduction of such concepts and terms as ‘linguotoxicology’ and ‘linguotoxins’ into ecolinguistical research. ‘Linguotoxins’ are considered to be words and phrases harmfully affecting not only language as a communication system, but also linguistic consciousness of native speakers, including possible transformations of their worldview. Linguotoxic processes include unnecessary borrowings, toxic word formation, label formation, vulgarization and bureaucratization of language and speech, creation and use of linguocynicism, excessive use of abbreviations. The list of linguotoxins is negotiable and open for additions. Keywords: ecolinguistics; linguotoxicology; linguotoxicity of a word. The article deals with semantic and pragmatic features of the word “invention”, realized in modern newspaper discourse and connected with the negative evaluation of sign. In the course of the analysis of the newspaper subcorpus of Russian National Corpus, the author applies methods of cognitive, pragmatic and semantic interpretations of the facts. finding out some semiotic features of the estimated discursive behavior. The pragmatic factors in realization of the negative expressive evaluation component of the word «invention» meaning are discussed from a perspective of semantic syncretism. Keywords: newspaper discourse; evaluation semantics; negative evaluation; pragmatic functions. The article studies the problem of teaching business communication to the students of law. Special attention is given to the use of role-playing games at “Speech Culture” classes. The author offers guidelines for conducting of functional role-playing games, which can help to develop professional competence of the lawyer. The article is summing up the experience of applying interactive methods in a law school. Keywords: business communication; communicative competence; interactive methods of teaching; functional role-playing game. The article is devoted to the study of anthroponyms as a substantial part of folk culture and state’s history. The authors are analyzing six translations of Pushkin’ novel “The Captain’s Daughter” into Chinese, concentrating on the choices of the names, the principles of their translations and commentary, as well as on the ability of Chinese reader to perceive the sequence of hieroglyphs as foreign anthroponyms in the translated text. As a result, some linguistic and cultural elements, actualized by various translators in publications from 1956 to 2013, are defined. Keywords: translations of anthroponyms; Russian language; Chinese language; A. S. Pushkin; “The Captain’s Daughter”. The article studies occasional words, namely the complex adjectives, in the novels of outstanding Russian and Soviet writer Valentin Kataev. The analysis of a large material allows to reveal the features of Kataev’s linguistic identity. The author analyzes some complex occasional adjectives, expressing the nuances of colors, smells, sounds, emotions, the sensual body of world, and demonstrates visual capabilities of various derivational patterns used by Kataev, paying special attention to complex color epithets, and compares Kataev’s coloristic writing to painting. In the course of analysis the author demonstrates some ways of strengthening the value of occasional complex adjectives created by Kataev as aesthetic forms, and proves that they are a part of the author’s individual worldview, fully reflecting the uniqueness of his emotional, intellectual and ideological position, his value system, and the uniqueness of his creative work. Keywords: writer’s worldview; complex occasional adjectives; individual formation; coloristic writing; microimage. The author argues that a “story from memory” is a type of creative work in the classes of Russian as a foreign language, allowing the student to utilize the knowledge about his/her homeland. This teaching device is based on active use of assessment techniques and the means of linguistic expression, that makes it particularly difficult for productive speech activity. The author recommends to rely on reading and analyzing the memoirs while preparing for compiling the “story from memory”. This idea is illustrated by the analysis of an autobiographical story by modern writer Svetlana Mosova. Keywords: story; memory; nostalgia; episode, saved by the memory; motif as a means of creating semantic integrity of the text. The article deals with the problem of “present time”, posited by the author of the “Pushkin House” novel. This problem is being analyzed in close connection with the problems of text creation (incompleteness and variability of writing), and author – hero relations. Nabokov’s novel “Invitation to a Beheading”, where similar problems are solved by the main hero, is used as a comparative background. Keywords: Bitov; Nabokov; present; author as a hero. The article deals with pedagogical views on teaching Russian language in the period after the 1861 reform, exposed by the founder and editor of the first Russian linguistic magazine “Philological Notes” Alexey Khovansky, who paid special attention to the methodological principles of teaching, meaningful approach to language and speech. Keywords: Alexey Khovansky; principles of learning; teaching methodology; mental development; moral development. 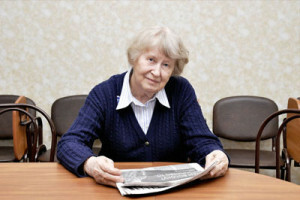 The article discusses the issues of vocabulary acquisition as one of the most significant components in language learning, covering the main ideas of Paul Meara, a well-known specialist in L2 vocabulary acquisition and control, and demonstates their practical implementations, which can be fruitfully used in teaching Russian as a native and as a foreign (second) language. Keywords: Paul Meara; vocabulary; language acquisition; EFL; Russian as a foreign language; system of tests; lexical minimum; mnemonic techniques. The paper represents the content and structural analysis of the formation of aspectual subcompetence of foreign students on four language acquisition levels (B1-B2-C1-C2), accomplished according to six parameters: lexical and semantic training; morphological training; syntactical training; speaker’s / writer’s and listener’s / reader’s position training; as well as the types of mental activity. Keywords: Russian as a foreign language; language acquisition level; aspectual subcompetence forming; training types. 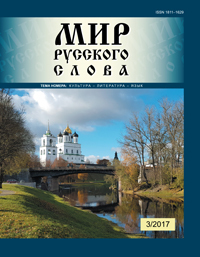 The article deals with the problem of correspondence between Russian and non-Russian ethno-cultural components in teaching children in Russian-speaking schools abroad, and offers a new Russian language educational resource, which combines linguodidactic, educational, ethno-cultural, and amusing functions. This resource allows the students to study history of Russian geographic discoveries in comparison with their background knowledge of history and geography. The authors are analyzing specific educational and cognitive features of the school students living in non-Russian linguistic and sociocultural environment, which creates difficulties in implementing patriotic components of the educational process. The authors suggest that under the conditions of multicultural environment and pressure of globalization one should not refuse the ethno-cultural component in education, but quite contrary, should try to make it more significant. This idea contradicts to common principles of contemporary Western education, i. e. the principles of multiculturalism, and in order to overcome this contradiction it is necessary to organize patriotic education in Russian-speaking schools abroad in such a way that children would not be kept away from the realities of nationally determined sociocultural environment. The ethno-cultural approach offered by the authors allows the school students to combine the facts about Russian history and geography with the background knowledge about the country they are living in. This approach allows to solve several pedagogic tasks, such as popularization of Russian language and culture, inclusion of Russian history to the worldwide context, realization of the idea of cross-cultural education. Keywords: Russian-speaking school abroad; ethno-cultural approach. The author argues that the new “All-China State Educational Standard of Higher Education in Russian Language Teaching (the undergraduate level)” is going to be published in the near future, and since the “Oral Interpretation” is one of the newest subjects, born out of the necessities of social development, its program have to be standardized. The article discusses the teaching goals, curriculum, teaching methodology and content of this subject in accordance with the specificity of the “State Educational Standard”. Keywords: “All-China State Educational Standard of Higher Education in Russian Language Teaching (the undergraduate level)”; interpretation from Russian to Chinese; interpretation technique training. The article deals with the formation of Russian as a foreign language students’ linguocultural competence, and proposes author’s own methodology of teaching through video materials, offering some methodological devices for working with “Pro lyuboff” (About Love) movie; the methodology is intended for B1 or upper levels foreign students. Keywords: linguocultural competence; Russian as a foreign language; feature film; video materials; language competence. V mire russkoi poezii [In the world of Russian poetry]: Students book: In 2 parts. — St. Petersburg: Herzen University Press, 2016. Slovar’ obikhodnogo russkogo iazyka Moskovskoi Rusi XVI–XVII vv. [The Dictionary of Quotidian Russian of Muscovite Russia of the 16th–17th Centuries] Vol. 7: Zazhat’ — Zel’nyi / Ed. by E. V. Generalova, O. V. Vasil’eva. — St. Petersburg: Nauka, 2016. — 303 p.
The article demonstrates the ways of including linguistic and regional information into various types of educational dictionaries for Russian language students, both native speakers and foreigners, and offers some models of dictionary entries in the form of stories, developed on lexical, phraseological and paroemiological material. It also represents some devices of representation of Pskov Region relevant cultural realities in connection with etymological version or subject of dictionary entry’s title. Keywords: lexicography; regional linguistics; etymological dictionary; phraseological dictionary; Russian as a foreign language.